My new favorite material is extremely light weight and absolutely water proof. 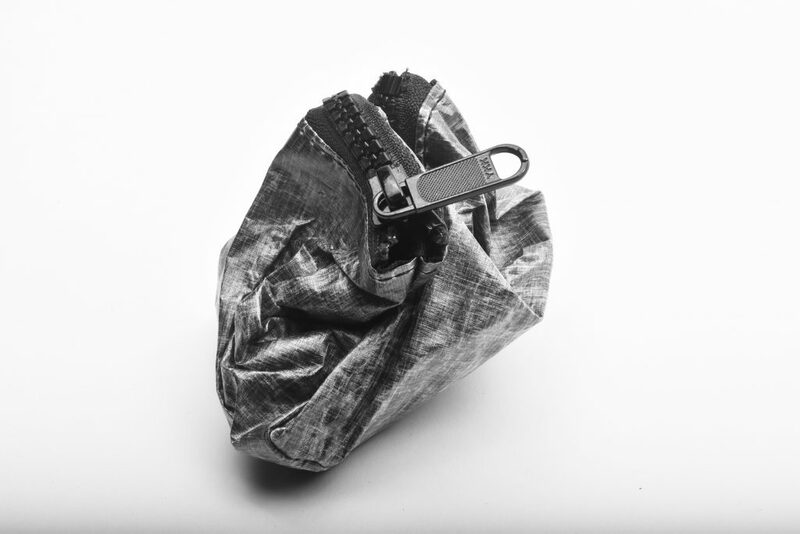 Dyneema is a composite with an outer layer of Mylar. 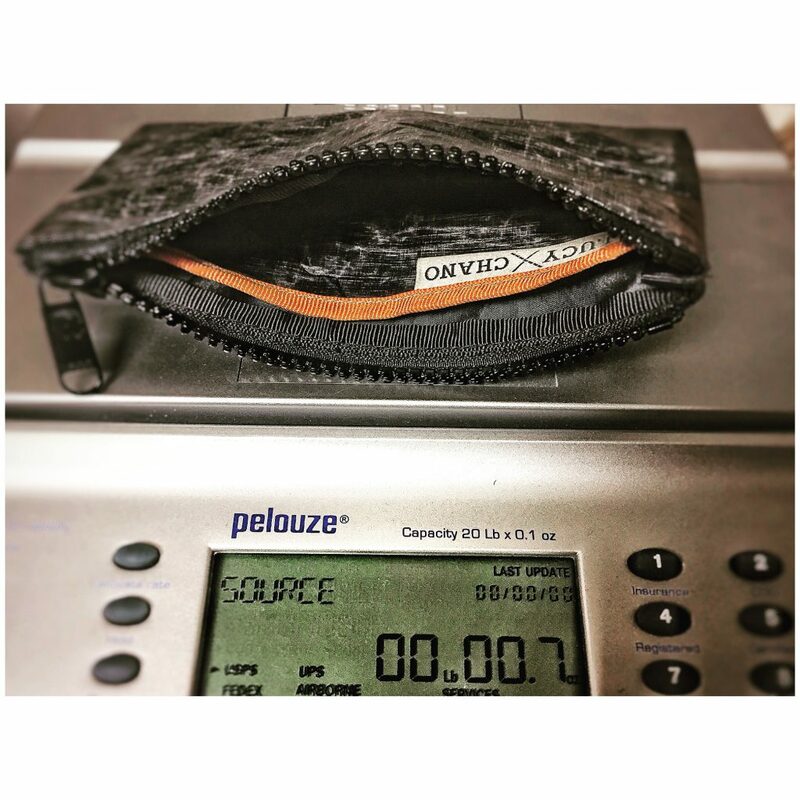 This single zipper cycling pouch is less than one oz. That’s pretty light. The model shown here is unlined with a folded panel, trimmed with orange binding tape, used to create an internal divider so you can keep your phone on one side, money, ID and a credit card on the other side. The internal seams are taped for a finished appearance but not taped with waterproofing in mind. 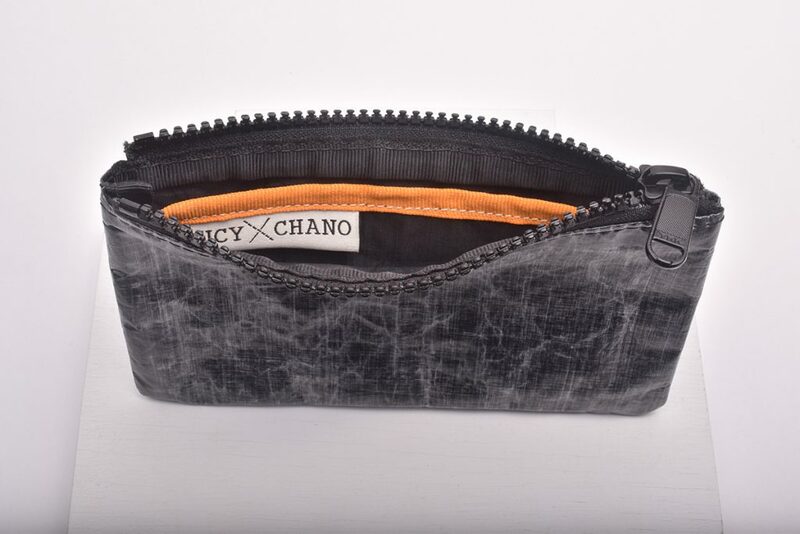 Also, the zipper is not constructed to be completely water proof, however, for all practical purposes this cycling pouch is extremely water resistant and will keep the contents dry. It’s designed to fit a phone comparable in size to the iPhone6 with a slim case; you know, one that’s not too bulky. We will also produce a version that fits the “Plus” sized phones. 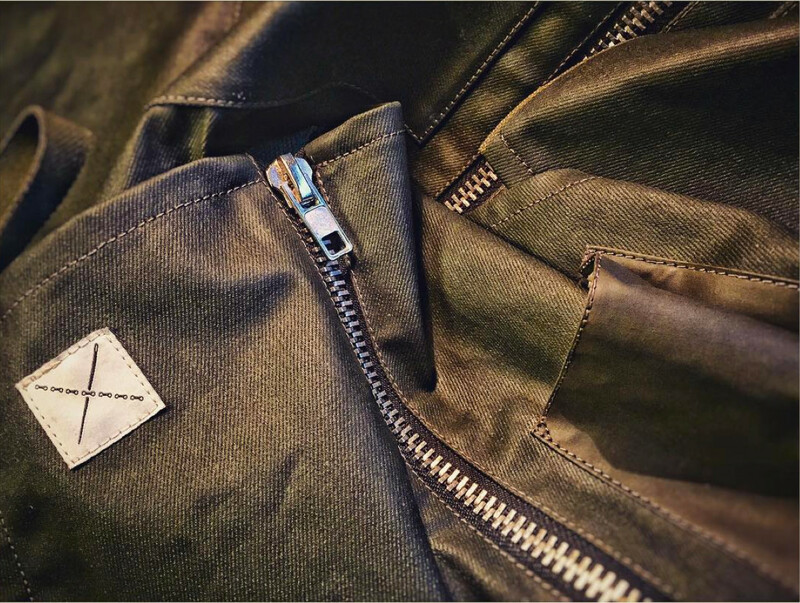 The zipper opening is 6″ on the model pictured here; YKK with plastic teeth – extremely durable. This cycling bag is designed to carry your daily ride essentials and keep moisture away from your phone.